Toowoomba is an inland city on the Darling Downs about 90 minutes from Brisbane. It’s known as the garden city, is surrounded by some great national parks and is loved for it’s well preserved heritage buildings, many from the art deco period. What I didn’t expect to find in this country town was an impressive collection of street art murals by some highly talented local and international artists. With over 50 large scale works this growing collection definitely puts the Toowoombas arts community on the map. Wandering off the main roads we also noticed a significant increase in galleries and more interesting cafes and coffee shops as we moved around the city. 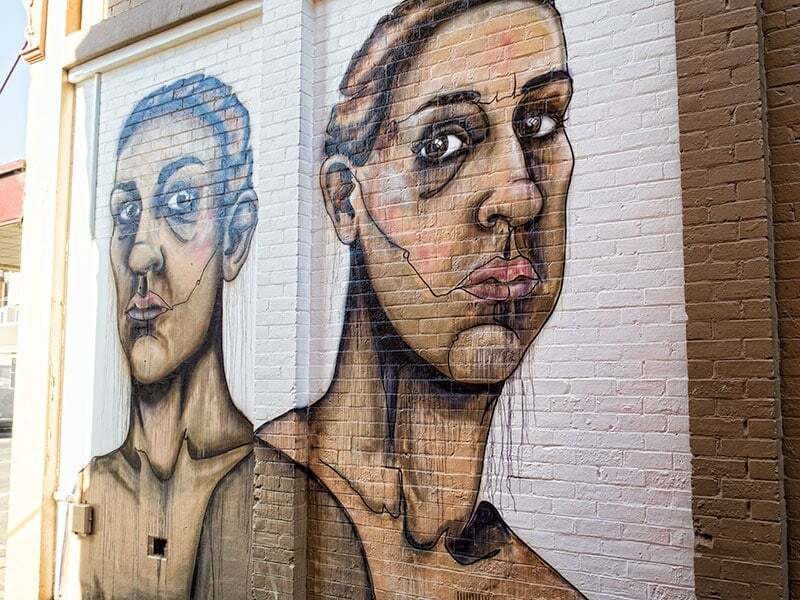 There are dozens of buildings adorned with high quality street art all around Toowoomba, from the main streets to the back lanes. Once we realised what was there and started walking down some of the lanes and parallel roads we came across even more. We learned that many were created in an art festival in the city held in May 2014 and 2015. It’s run by First Coat and destined to become an annual event with the third installment scheduled for 13-22 May 2016. On their website you can find an online map showing the art works created during the events. As you come into town you’ll also pass the visitors information centre who have a free booklet including a map of some of the works. Alternatively just park the car and start to wander around the inner city. It’s quite compact and once it was obvious we were interested several locals stopped to chat and point us in a new direction to see a different group of designs or their own favourites. A truck driver even stopped to chat about ‘back in the day’ working with Aussie band Mental as Anything. 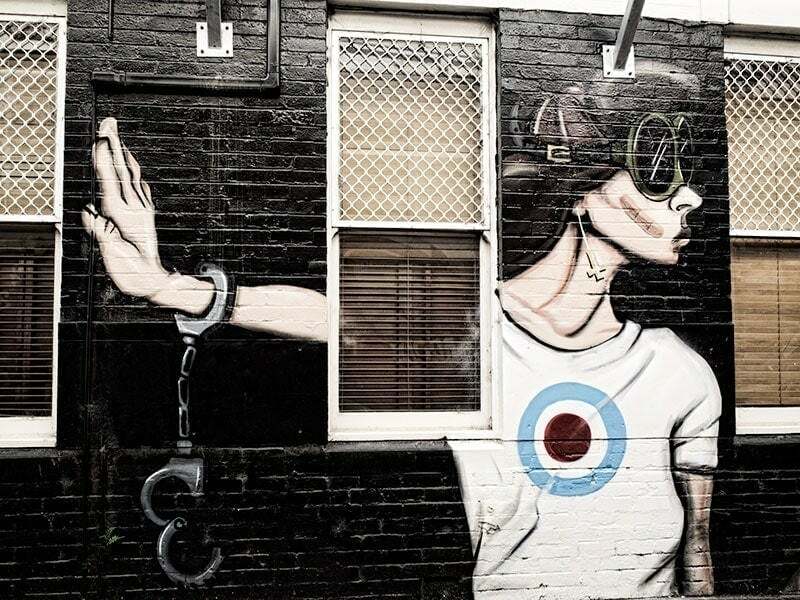 In additional to significant success for a down under band at the time the group were artistically talented with the paint brush having met at art school and made their own contribution to the less structured street art scene in Australia back in the 70’s and 80’s. Viewed from the street or car park almost opposite the Empire Theatre at 49 Neil Street this work by Melbourne based artist, Adnate, was my pick of the day. I’ve researched a bit more since we’ve been home and the living eyes are a feature of his work which is prominently featured around Australia. A few of those other sites have made their way onto my ‘must do’ list when we’re in the various cities and towns. His works capture an incredibly realistic portrait with spray paint. It’s would be impossible to pass through one of the main streets in Toowoomba without noticing the scale of this mural on the intersection of Ruthven and Union Steet. Fintan grew up in Queensland and has a very impressive collection of public arts and exhibitions all around the world. 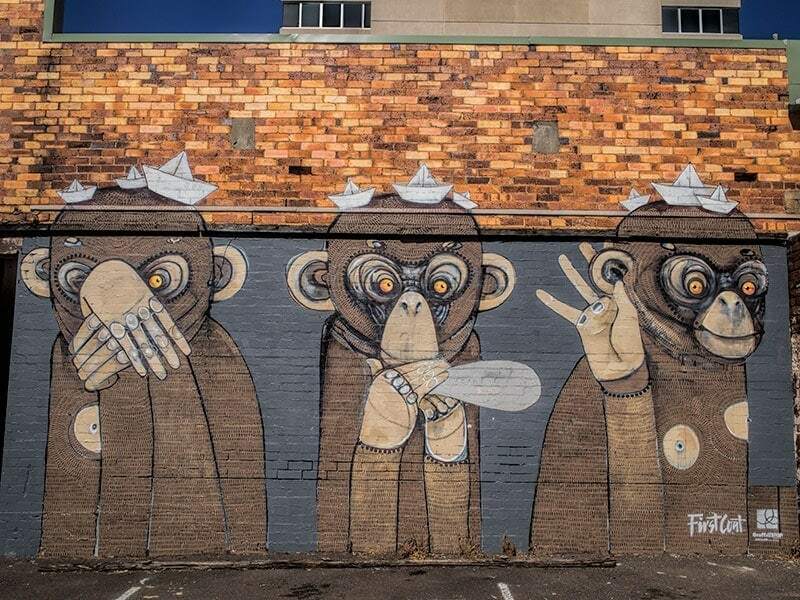 Another Queensland based artist with this interpretation of the three wise monkeys in Bank Lane. This intriguing capture of movement in club lane is representative of Brissie illustrator, Elanas, work which is often quirky and dreamy. Oh crickey! This colourful rendition of Steve Urwin the crocodile hunter by US artist Madsteez is a bit more of a walk out of town at 6 Neil Street. A little more awkward to photograph too as you can’t get into the empty lot next to it but there is no way you are going to not notice this one as you pass by. Incredible talent to get an unmistakable likeness of the wildlife warrior on that scale. 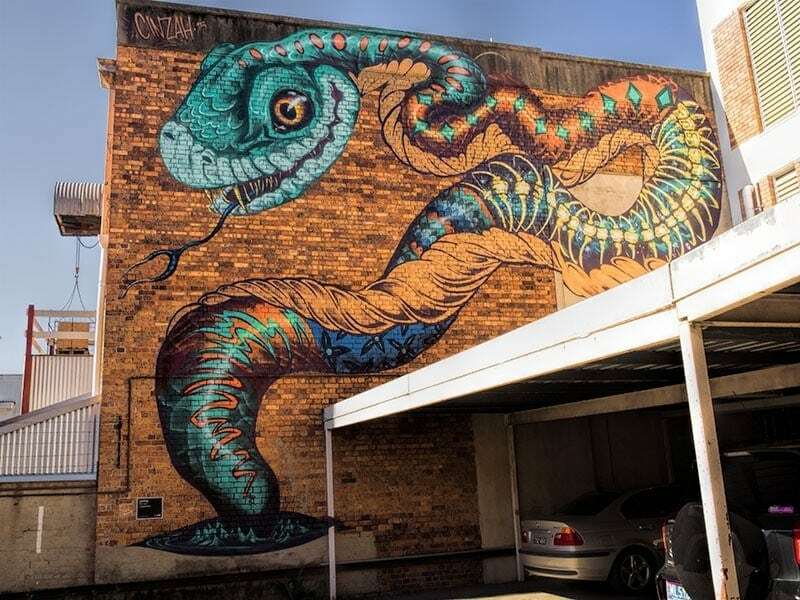 Alice is a Toowoomba based artist, the first three works were created in 2014 and flow right along the length of the building in Lamb Lane off Margaret Street. The space was too narrow for the lens I was carrying to pick it up in one strip but they stand alone well as individual pieces too. 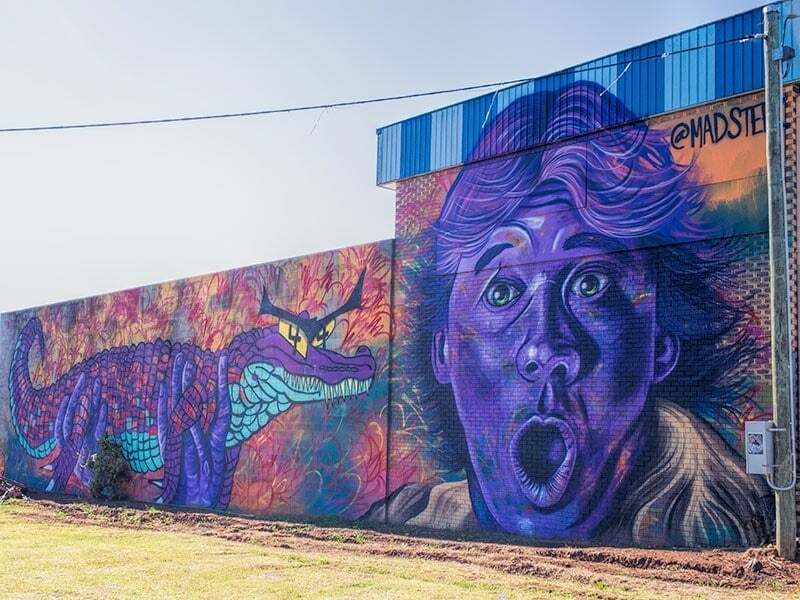 The forth mural is in Keefe Street and was painted during the 2015 festival. Gorgeous pops of colour lift and work with this interesting shaped wall in Duggan Street. 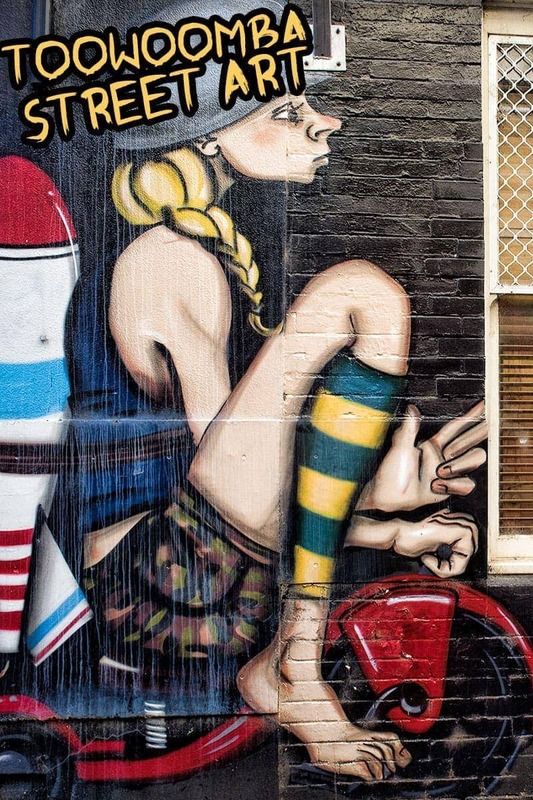 Cinzah is well known in the New Zealand street art scene so it’s great to have one of her works in the Toowoomba collection. I love love love this giant snake in Lamb lane. It was a more awkward space to work with and what she’s acheived is gorgeous on this warm brick wall. 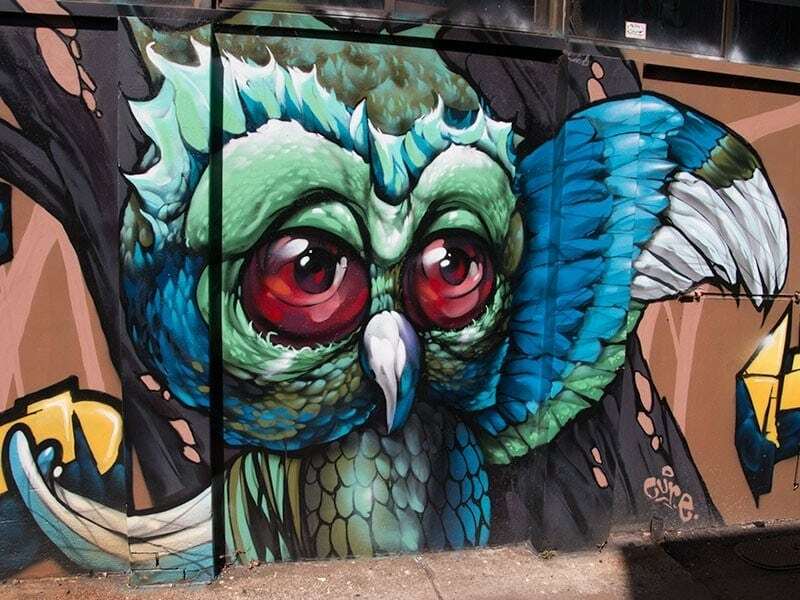 This cute and colourful owl on Club Lane was created as a collab. A winner for me with the colour combination and being an owl! Pushing the boundaries in monochrome and a detailed sketch feel. Brightening up an undercover space in Mark Lane with hot pink and a bit of magic. Looking foxy in Bank Lane. Fabulous contrast with light and bright. 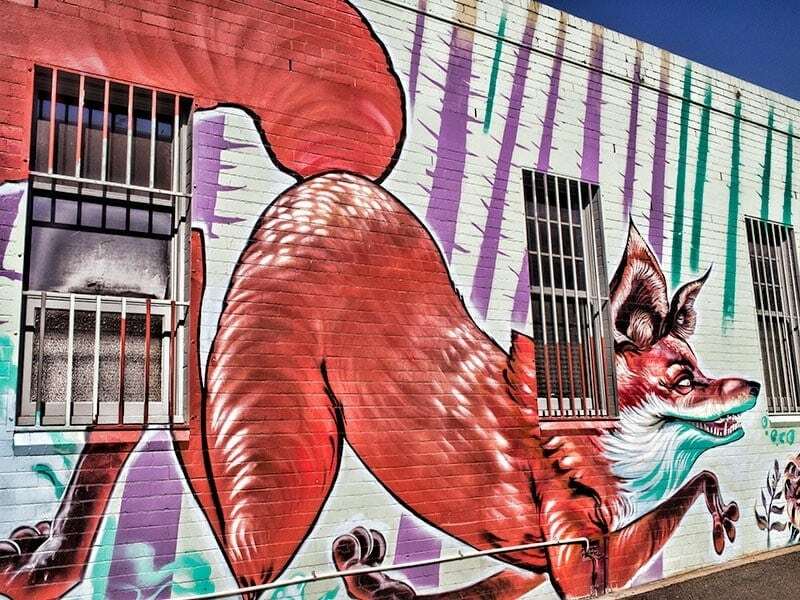 If you love urban art then Toowoomba is definitely worth a visit. The art works are located all around the city with the majority concentrated in the central area. They appeal to a wide variety of tastes and explore a scale that can’t be achieved in many other forms. 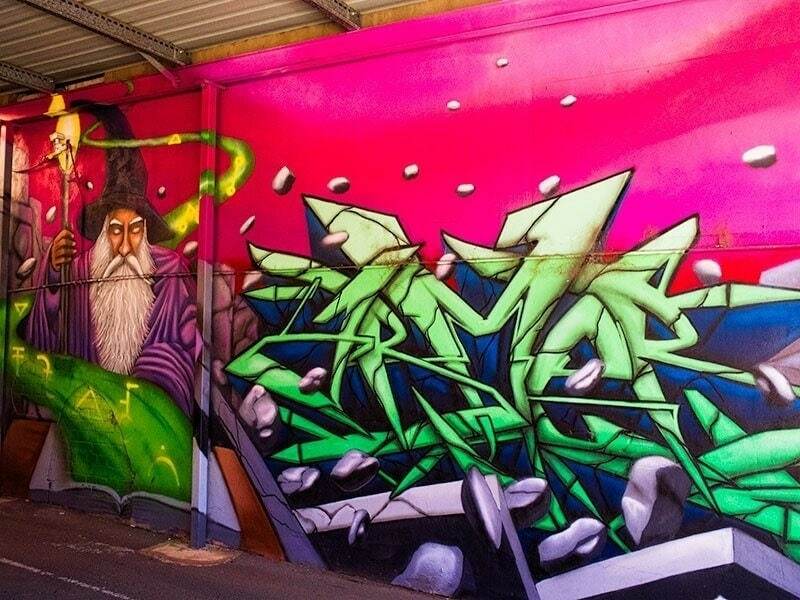 South East Queensland has a limited street art scene. 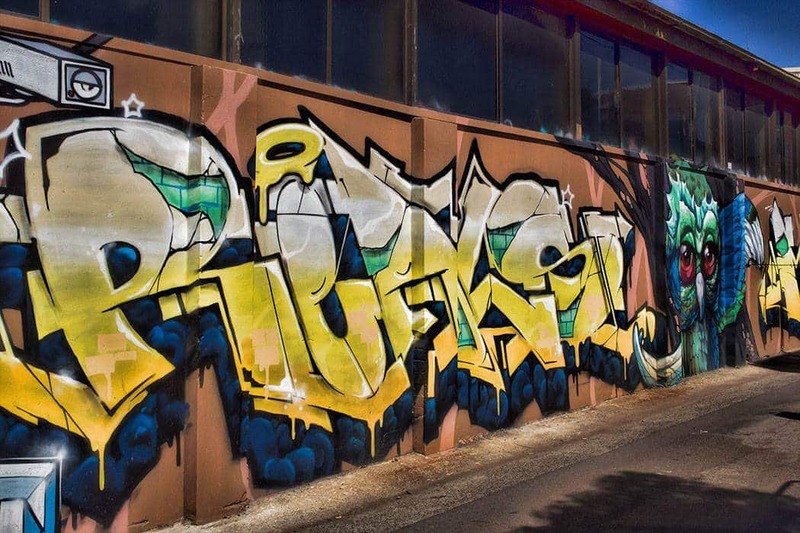 Brisbane, the major city, has a very tight policy for approval of authorised works and a zero tolerance policy on unauthorised designs with many having been painted out in the past few years. 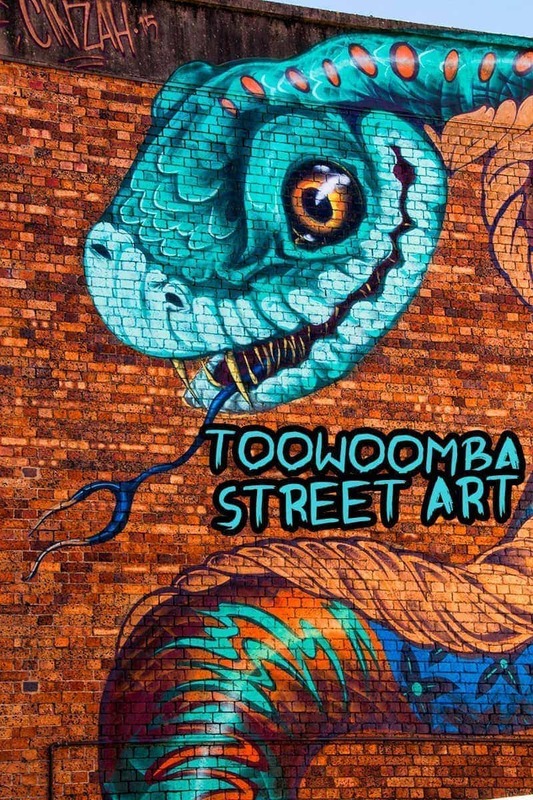 Toowoomba is clearly the stand out local spot if you love your street art. Where do you stand on the street art debate? Do you love the creativity and life it brings to the city or resent the original materials being painted over? Do you see a distinction between tagging and street art? I’d love to hear your thoughts in the comments below. Next articleForgot the tahini? Try this quick and easy hummus recipe. I love street and public art and I love your new logo and blog banner. 🙂 PS your photos of the street art are fantastic. In general, I prefer much more nature than cities, but cities can also offer a lot! I love these colorful streets! We like to do a combination of all sorts of travel, the natural places and wildlife in the National Parks around Toowoomba are well worth a visit too. Wow, this might just be better than the street art in Berlin! 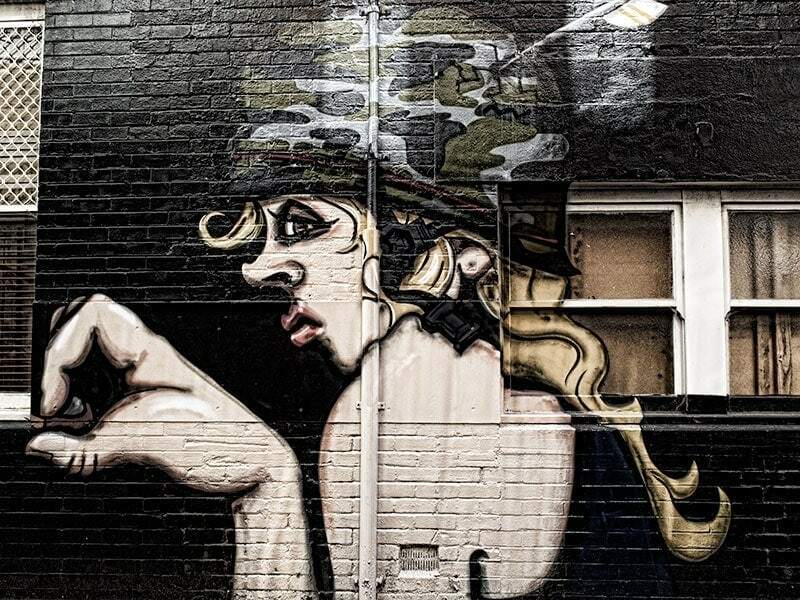 From what I’ve seen and hear Dannielle Berlin has some amazing works from both international and lesser known artists – is that your favourite city for street art? I think it usually is Rebecca, at least the big cities are where I’ve usually seen it. I wonder if other towns and smaller cities are starting to get in on it too? 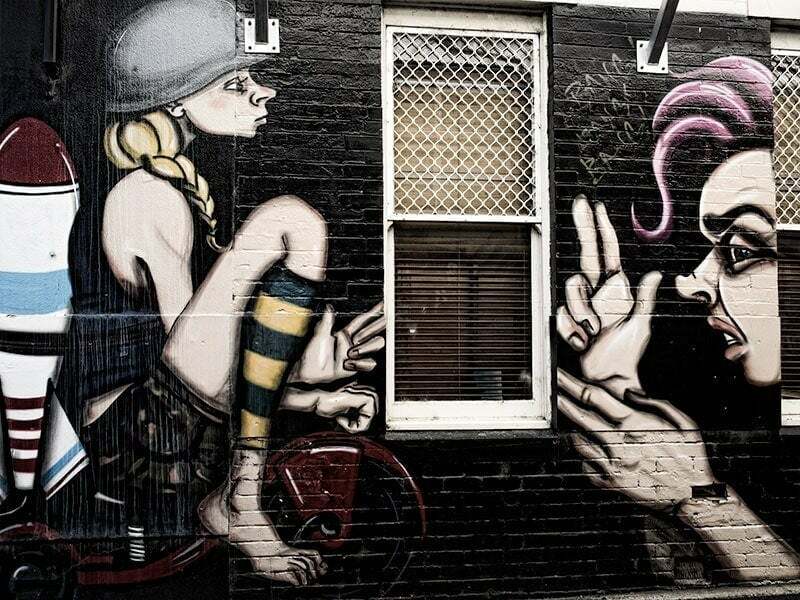 I love walking through the cities with a lot of street art – it makes your walk so much more interesting. It really does make it more fun Monica. Now I’ve started to recognise a few individual styles and signatures I find I watch out for them too. You’re right Fiona, it’s not something Australia is known for and most cities take a hard line on tagging and graffiti. Melbourne has the best collection but it’s starting to pop up in a few other places now. I definitely agree Suze that it should only be with the owners permission. I’ll look up Pegasus too, thanks. Man some people are so talented! They really are! Love they get express and share their talent publicly not just in one persons living room. 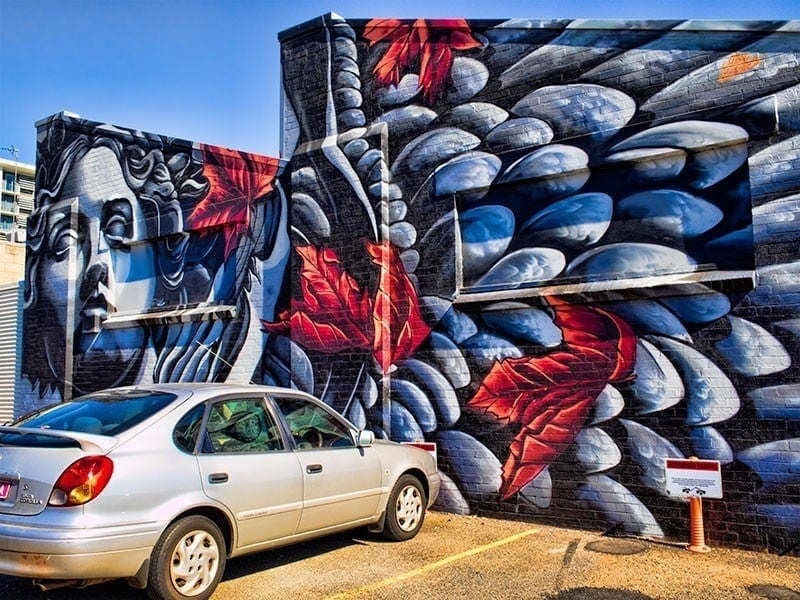 Just stunning, I love the way street art just makes a city more beautiful. 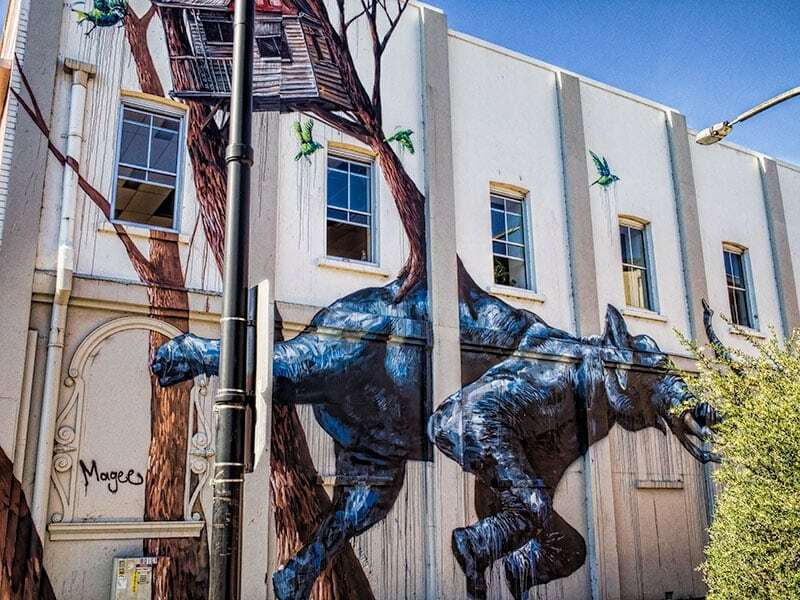 Here where we live, we have a Fintan Magee work also. What a talented artist he is. Hi Paula, I’ve started to follow a couple of the artists on Instagram and hope to see a few more of their urban works as we travel around. I’d definitely like to see more of Fintans art. I definitely think street art is art lending personality to otherwise blah walls and street corners. 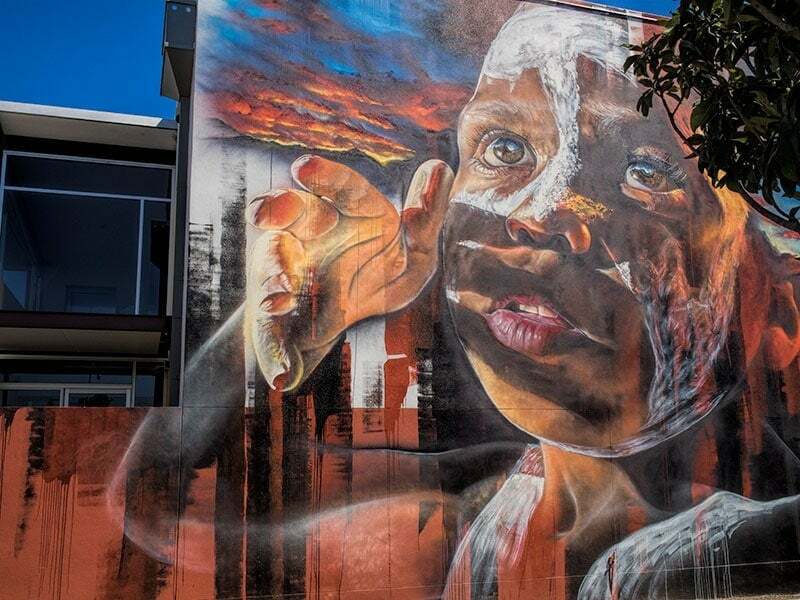 I love the first piece by Adnate- it’s amazing! Thanks Natasha. I agree, we were walking around town looking for the back streets and alleys to see what there was to find, otherwise they are usually dingy places to avoid. Thanks Antonette, I loved the monkeys too! 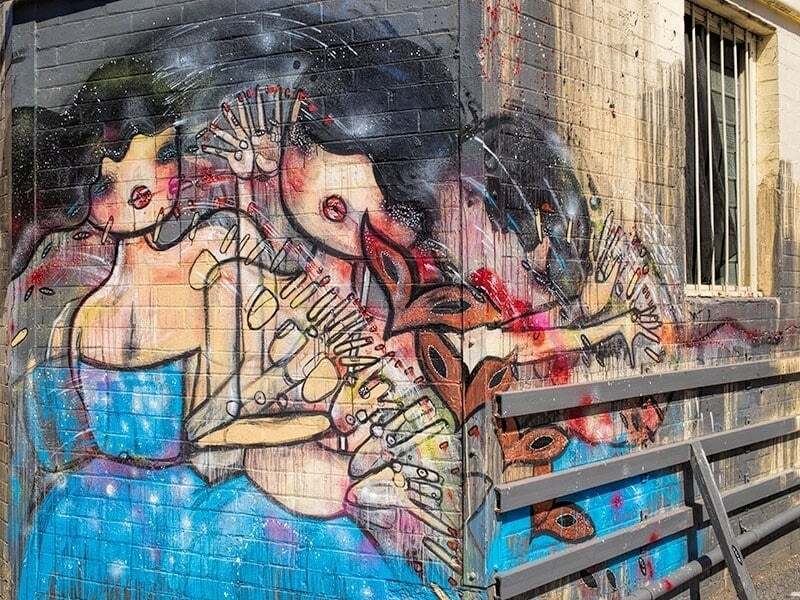 Interesting – As I travel, I am becoming more interested in street art, so it is always fun to see pictures of street art from around the world. 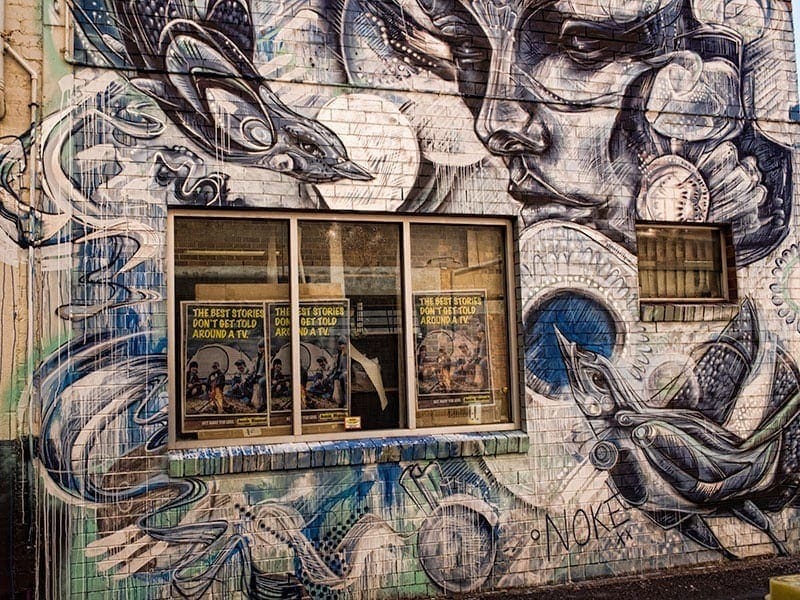 I think the work of Adnate looks fantastic, and I like the interpretation of the three wise monkeys. It seems like you had a great day scouting this street art out! Hi Natalie, I agree that street art and unconventional art exhibitions are such an enjoyable part of our travels. I love it when we find something a bit different, especially when it’s unexpected.